The mid-19th century in America was a time of exuberant optimism. We had defeated Mexico, and annexed half of its land. We were the masters of half a continent, who had driven its original inhabitants off their ancestral territories and confined them in ever-shrinking enclaves of poverty and insignificance. There seemed to be no limit to our manifest destiny. And yet in spite of this optimism, the slave states were worried. It was becoming clear that the slave society could not continue to flourish unless it could continue to expand. With their economies stagnating or declining while the Northern states boomed, slaveholders looked for ways to increase their territory, to avoid being permanently dominated by the anti-slavery North. It was an age of “filibusters,” adventurers whose ambition was not only the acquisition of new territory for the expansion of slavery, but sometimes a small country for themselves – Cuba, say, or Costa Rica. The most famous of these was William Walker. 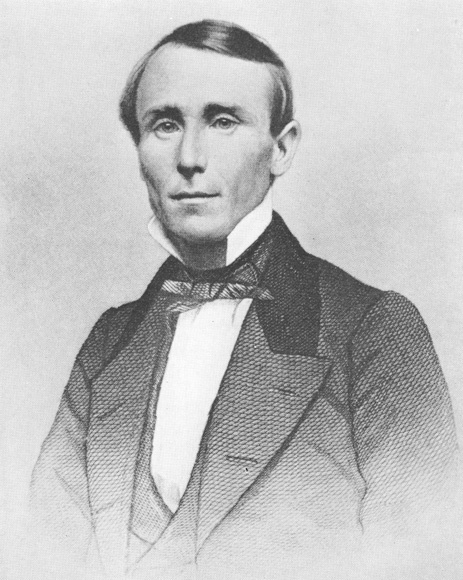 In 1853 Walker, a lawyer and newspaper editor, with a force of 53 men, attempted to capture the Mexican territories of Sonora and Baja California. Supplies ran out, and the Mexican army proved unexpectedly effective, so he gave up and went home. In 1854 he tried again. 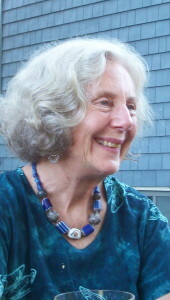 Civil war had broken out in Nicaragua, and one of the factions requested Walker’s help. This time with 60 men plus 110 local volunteers, he defeated the opposing Legitimist army and occupied the capital. The following year he engineered his own election as President of Nicaragua, reinstituted slavery, and was recognized as the legitimate ruler of Nicaragua by President Franklin Pierce. In the meantime he was receiving financial support from some employees of the shipping empire of Cornelius Vanderbilt, in return for helping them to gain control of Vanderbilt’s Nicaraguan assets. Eighteen months after his original invasion, the combined armies of four neighboring countries—with a good deal of encouragement from Vanderbilt—drove him out. He returned to New York, where he was greeted as a hero. In 1860 he tried yet again, at the invitation of some British colonists in Honduras. This time he was captured by the British Navy, turned over to the Honduran authorities, and executed by firing squad. More bizarre, and considerably more sinister, were the “Knights of the Golden Circle,” members of a secret organization whose goal was to establish a “golden circle,” a slaveholding empire centered in Brazil and covering all of South and Central America, as well as North America to the Mason-Dixon line. The Knights, numbering in the thousands, were organized as a quasi-Masonic body, with secret lodges or “castles” and secret rituals, signs, and titles. If contemporary drawings (left) are to be believed, they even dressed up as medieval knights, so completely had they absorbed the romantic mythology of their Southern peers. Before and during the Civil War they were active throughout the North, in Indian Territory, and on the west coast. Members participated in numerous military engagements during the Civil War, as well as continuing subversive activities afterwards; John Wilkes Booth is said by some sources to have been one of them. They have fans to this day: a Google search reveals several websites with admiring descriptions of the order. 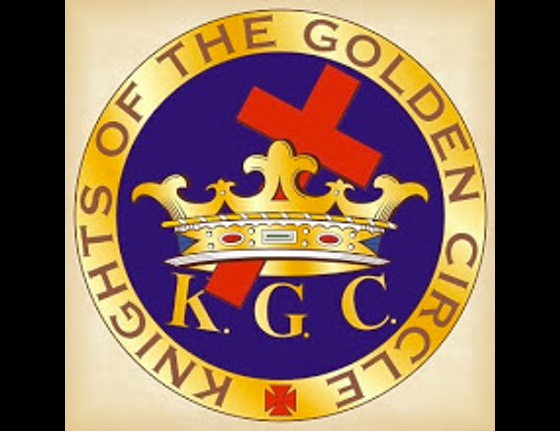 There is even a Knights of the Golden Circle Facebook page, with special postings about UFOs.